A four-year development plan launched in 2011 will be more than 80 per cent completed by the end of this year, according to a senior government official. 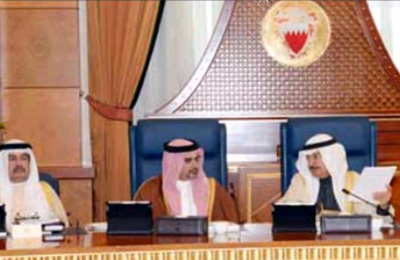 Minister of State for Implementation Mohammed Al Mutawa told a press conference after the Cabinet session yesterday that was almost twice as good as previous performance, said a report in the Gulf Daily News (GDN), our sister publication. He was speaking after a report on the progress of work since January 2011 was submitted to the Cabinet, stating that 72 per cent of work had been completed by the end of last year. "We had 935 projects and schemes lined up by 38 ministries and government bodies until the end of this year, including 445 construction projects and 490 administrative schemes," he said. "By the end of last year we reached 72 per cent of completion, while only four per cent of projects or schemes were delayed." The report was initially approved yesterday, but referred to a ministerial committee for follow up to ensure any obstacles are removed. Al Mutawa said in previous years, between 45 per cent and 50 per cent of projects and schemes were completed - with the previous development plan achieving just 44 per cent completion. "We have improved a lot and now we are looking for something that is even better than many developed countries by reaching more than 80 per cent by the end of this year," he said. "Only 19 construction projects out of 445 are behind schedule, but that's normal considering that they take longer than the four-year time frame and some are delayed because the complete budget is not approved. "We have no problem with postponing a project or scheme if we find it is beyond implementation and assigning the budget to another realistic project or scheme." He said that a new culture being adopted in government work had resulted in the improved performance. "We are not rushing anything and are working as planned," he said. "There is no failure in implementation, those who are slow are being helped to speed up work and those who are working below expectations are being pushed forward."